Meet Wummelbox – it’s a monthly arts and crafts subscription service for kids ages 3-7. An illustrated instruction booklet is included for each craft, as well as all materials. We tested out the Color and Light Box recently and my kids had a blast. The project we created together was the Windcatcher. The purpose to to look through more than one color at a time more than one color at once to discover the different effects. There were more than enough supplies included, so it was easy for my two older kids to create. (Read More after the jump). We loved that the Wummelbox included a child safe scissors, especially since we always misplace our kid scissors. Everything is included, like directions and all materials (including scissors, paper, glue stick, crayons…). Which was awesome, because I didn’t have to hunt down a ton of art supplies. It was all at my fingertips. TIP: Keep EVERYTHING in the box until you need it. I appreciated the clear, illustrated directions, which take you through step by step. My seven year old could have read them, but he left it to me to direct him (which is pretty typical of him). Then came the harder part– to affix the shapes to the string, using the x shaped paper tabs (which you have to glue) and then tying the string to the star structure. Tada! Check out our cool Windcatcher!! The next projects we’ll be making from our Wummelbox will be a spintop and a kaleidoscope. The spintop will shows another color effect: The colors mixing over and over will show new colors. With their kaleidoscope children will explore the world of crystals. Looking through the kaleidoscope will help my kids investigate how colors change with the light refraction in the sparkling little stars. 1) Order a one time box for $39. No cancellation notice required. 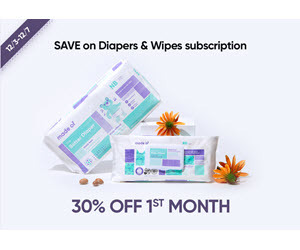 2) Order 3 months of Wummelbox for $29.00 per month. All options are offered with free shipping through the US Postal Service. Exclusive Discount: Use code: mamamaven for 20% off of the 3 month subscription price. Thank you to Wummelbox for sending a box for us to check out.